We have a wild and crazy cluster of gigs booked for our Spring Fever Tour 2015. 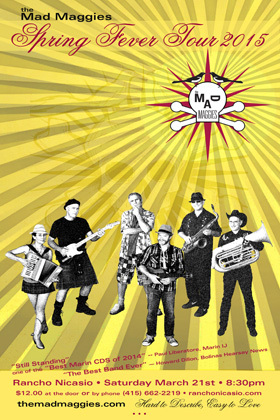 For you Sonoma-Marin magpies, we highly recommend our show at Rancho Nicasio on Saturday March 21st. The rancho is a cool vintage venue with an excellent dance floor, good food, full bar and great professional sound. Reservations are recommended. Call 415 662-2219. 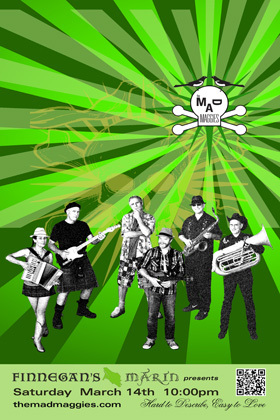 Reserve a party of 5 or more and receive any one of our CDs for free. Come celebrate Spring with us! 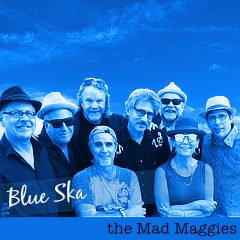 For you Peninsula magpies we suggest catching us in the act at Angelica’s in Redwood City on March 18, Wednesday. This dinner dancing venue will also have excellent sound and comfortable seating. NOTE: Save money by buying the tix online. Use the discount code “crazyangel” to get 20% off! 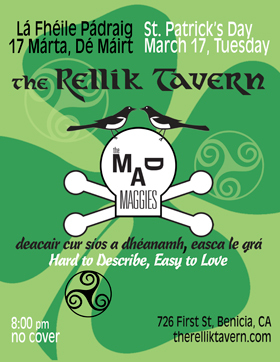 March 17, Tuesday 8:30pm at the Rellik Tavern‘s big St. Pat’s day party in Benicia. March 20, Friday 7pm at Half Moon Bay Brewing Co.
March 13, Friday 6pm at Devil’s Canyon Brewing Co.
March 15, Sunday 3pm at the aforementioned Lagunitas Brewing Co.
Angelica's, beer, Devil's Canyon Brewing Co., Finnegan's Marin, Half Moon Brewing Co., Lagunitas Brewing Co., Live at Lagunitas, Pacific Coast Brewing Co., Rancho Nicasio, Spring Fever Tour 2015, the Rellik Tavern. Musicians have thick Corpora Callosa!